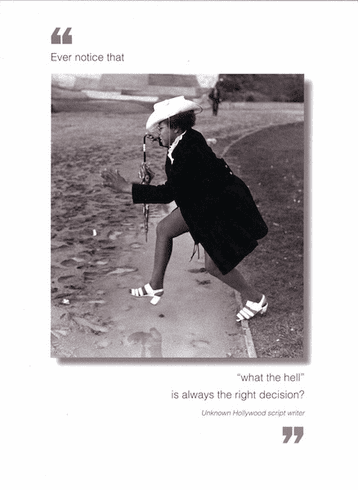 Outside: Ever notice that "what the hell" is always the right decision? - Unknown Hollywood script writer Inside: Blank. Borealis Press card measures 5 x 7 inches. Includes envelope.